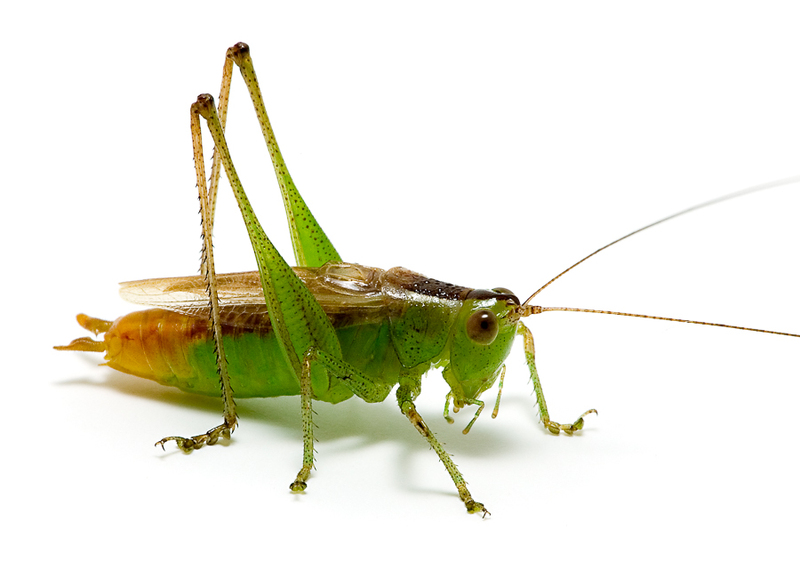 Song of a Short-winged Meadow Katydid (scroll down for explanation and additional recordings!). 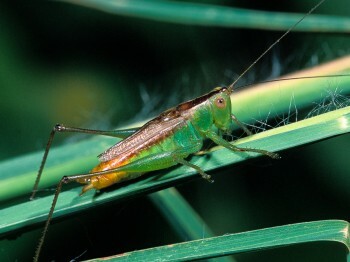 Numerous and widespread in the East, the Short-winged Meadow Katydid is easily overlooked because of its small size and its faint, high-pitched song. Recognized by its bright green body, yellow-orange rear, and a dark brown band that runs from the top of its head back to its wings. 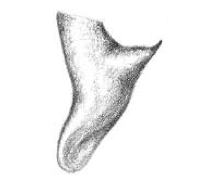 Most, but not all, individuals have short wings (note the long-winged male on the facing page). Found in areas of coarse weeds, grassy fields, and roadsides, in dry or wet areas. When approached, an individual will stretch out along the underside of a blade of grass, making it very difficult to spot. Easily disturbed, Short- winged Meadow Katydids are very good jumpers, making them difficult to catch. Short-winged Meadow Katydids range from northern Maine, south through Florida, west to central Texas, and back north to eastern South Dakota and central Minnesota. They can be amazingly abundant in their preferred habitat of grassy fields and overgrown pastures. This species can be very easily seen at night by searching the seed heads of grasses such as Timothy grass and Foxtail grass. Song: Song is composed of one to five ticks followed by a faint buzz lasting several seconds. Extremely high pitched, with most of the sound energy from 10–20 kHz. Sings both day and night. Although the song is loud, it is so high pitched that many people cannot hear it, even up close. Sonogram of a Short-winged Meadow Katydid. © Wil Hershberger. A broadspectrum trazodone 12.5 mg antibacterial and antirickettsial agent that should be reserved..